We will despatch your order on or before the next working day (Monday – Friday) following receiving payment. Our standard UK delivery is via Royal Mail First Class. Royal Mail aims to deliver First Class items the next working day, including Saturday, but it can take up to 15 working days. Internationally we deliver by Royal Mail Airmail. Royal Mail aims to deliver to Western Europe within three working days, Eastern Europe within five working days, and to the rest of the world in five to seven working days, but it can take up to 25 working days. Royal Mail Airmail is not a tracked or guaranteed service. If you would like to have your item sent via a tracked service please contact us for a quote. This will be charged on an ‘at cost’ basis. We are not able to offer returns on cut fabric. Samples are available free prior to purchase. We are not able to offer refunds on downloadable products. We accept returns of sewing patterns in their original sale condition within 14 days of purchase, and will issue a full refund for these items. 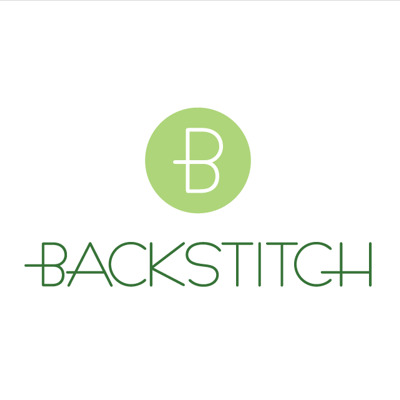 Goods must be returned to Backstitch, Burwash Manor Barns, New Road, Barton, Cambridge, CB23 7EH, UK. Postage and packaging charges will not be refunded, nor will postage costs you have incurred for returning the items to us. We recommend that you receive proof of postage for your returned items as we cannot be responsible for items lost in transit. We are more than happy to deliver to BFPO Addresses. Please fill out your delivery address as follows. We make every effort to represent our products as accurately as possible, however colours can appear differently dependent on individual screen settings. If you are unsure about a fabric we are more than happy to send you a small sample before you purchase. We are careful about how we cut our fabric and endeavour to cut with the print and weave of the fabric where possible. However please be aware that fabric can distort as it is wound onto the bolt making a straight cut sometimes impossible. Fabric will also shrink with first laundering. Please be mindful of these facts when ordering your fabric and ensure you order enough to complete your project comfortably.